Name your all time favorite book..
Uhh, that is an impossible question. The best I can do is give you A favorite. Impossible! But I do love Jane Eyre. It ends with us Colleen hoover! I’m a colleen fan as well!! I just read this book in 2 days, so good! Have you read The Nightingale? The Magus, by John Fowles. No competition. (There is, however, a 100-ish-way tie for second place). Hmmm…I really enjoyed Boy’s Life by Robert McCammon. But…all time favorite. The Last Christmas in Paris. Needed a box of tissues for that one but stuck with me for a long time after I finished. Oh I wanna read that one badly!! Loved this book so much!!! Have you read the second one yet? I am afraid to ruin the first one, kinda like with the sequels of the shinning and to kill a mockinbird. The Tenant of Wildfell Hall, Jane Eyre and Pride and Prejudice. Jonathan Livingston Seagull. The message resonates. Omg that’s like trying to pick which kid is my favorite lol. I’d probably have to say Clan of the Cave Bear, though. I read it for the first time when I was 12, and I’ve read the series over and over. To hard for me to choose. I have to many favorites. Nice to find a Barbara Erskine reader. I love ger books but have not read Child of Phoenix. I read it for the first time around 20 years ago and still love it. Whoa 2nd person that chose this. It is a GREAT book. Have you read his 2nd? 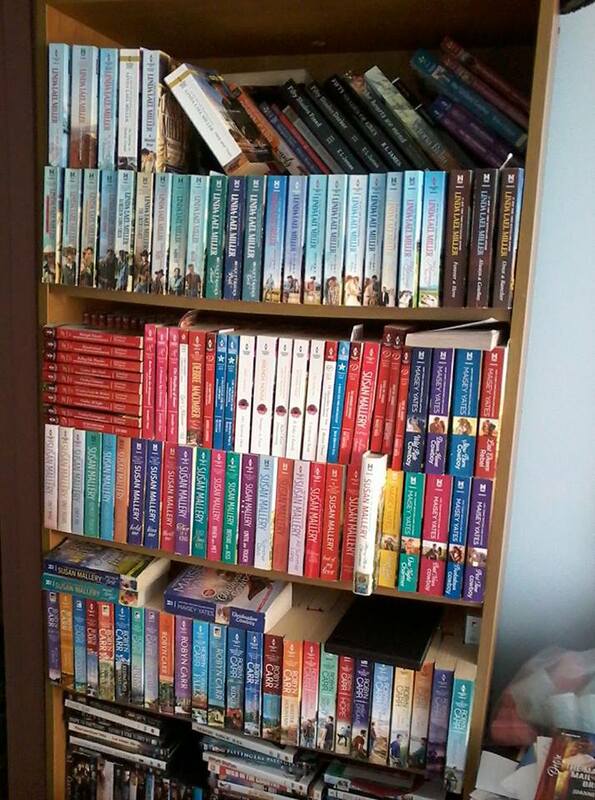 All of the HP books. I cant just choose one. That would be like choosing my favorite child! lol I have way too many! Just one? Hmmm. Crime and Punishment. Then The Idiot. Then Madame Bovary. Oh you’re killin ‘ me smalls.. I’d have to say the complete Sherlock Holmes. Without a doubt it has to be To Kill a Mockingbird. Pride and Prejudice and the Chronicles of Narnia are tied for me. The Captain from Castile, Memoirs of a Geisha. Hard to answer I have a quite a few!!! The bible,every time you read it, its like you are reading it for the first time. Finding Laura by Kay Hooper. She’s one of my favorites. Have all her books. Also To Kill a Mockingbird and Gone With The Wind. Lately it is Outlander by Diana Gabaldon. Prince charming by Julie Garwood. I love Lucas Ross. He is the kind of man that I like, probably is why I married my husband. I have 12 books on my Goodreads favourites list but the book that has stuck with me the most is The Handmaid’s Tale by Margaret Atwood. I studied it intensively a year ago at sixth form and I had so many amazing discussions about feminism with my friend and teacher! I saw her speak – surprised everyone – she’s very funny! I would love to see her speak! She did a talk near me but none of my English Literature friends were interested. That she was funny actually just shocked me a bit! I might do a bit of searching online to watch her 🙂. The Time Traveler’s Wife, maybe. Maybe The Storied Life of AJ Fikry. I have so many. I could name quite a few. I loved WICKED by Gregory Maguire, THE POISONWOOD BIBLE by Barabara Kingsolver, THE GIVING TREE by Shel Silverstein, WAR OF THE WORLDS by H. G. Wells….I could go on and on. Morning Glory or Bridges of Madison County.